Green bukit, hill Zone. 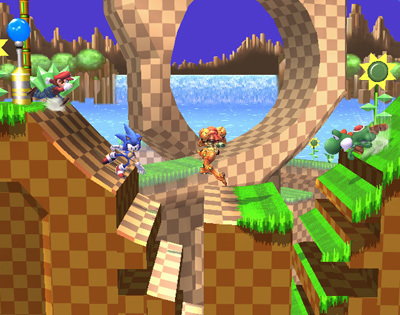 Tails, Knuckles, and Silver appear in the background of Sonic's hidden stage.. Wallpaper and background images in the Super Smash Bros. Brawl club tagged: super smash bros. brawl newcomer stage tails knuckles. Well anda have to look Good!